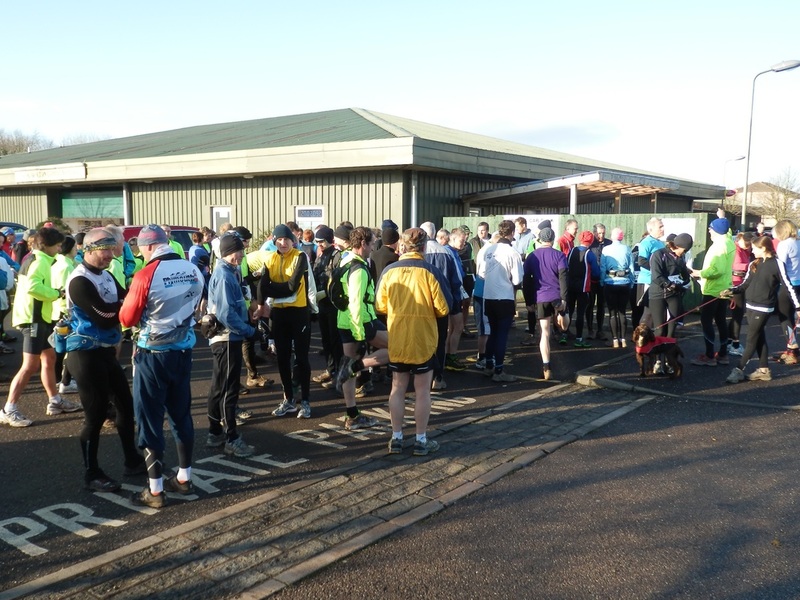 It was wonderful weather for this third outing of the Beast and 100 Beastly runners turned up from all points of the compass. The Highfield Club does not have the atmosphere of The Royal Oak (now sadly departed) but there was excellent parking and the staff pulled out all the stops to make us feel very welcome. It was good to be able to do the registration inside instead of from the back of a car. This run was definitely the muddiest one yet as the photos testify and those who came along for Grizzly training were not disappointed. They had a little taster of bogs and hills - if this is The Beast, The Grizzly is the Tyrannosaurus Rex. The weather certainly made the run as the views across the valleys were stunning. But where would we have been without without those succulent pasties (one lady is desperate for the recipe) and hot mulled cider, so thank you once again Smeatharpe WI ladies & the dogsbody - Colvin. The Sidmouth Arms and Luppitt Inn were also very welcoming and brought in extra staff, and provided the rooms - did Jim Hill actually finish as he looked to be nodding of by the fire at Luppitt? Thanks too to Ian for bringing up the rear, to Sue who drove the minibus, to Dave who gave a helping hand where needed, and to the emergency car ladies, Fiona and Demelza who gave lots of encouragement but who thankfully were not needed. I decide to test the emergency vehicle and can report that I had a very comfortable ride between Luppitt and Dunkeswell. Thanks too to all those who helped with parking and registration. There was a wide difference in finishing times. The AVR group seemed to either shun the pints and leisurely chat or they run like the wind. I think they got round in under 3 hours. Most of the Yeovil crowd on the other hand took the day very easily, determined to savour the experience and they finally came home at around 3 o'clock. There were some tremendous performances by many runners who never normally do a 16 mile run so very well done to you all. So the Beast is over for another year but The Beauty beckons on 14th July. Ideas for a fancy dress theme welcome. 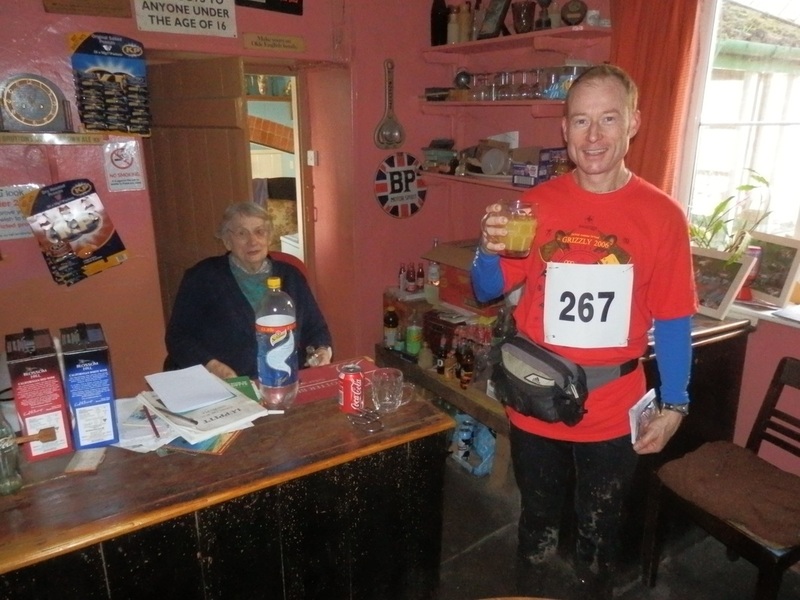 Iain Robert: Great event today, thoroughly enjoyed the running, the mud, the scenery and the pasty. Please pass on my thanks to all involved. Lin Lascelles:Just wanted to say a big thank you for getting us in at the last moment and for another great event. Due to some navigational errors we got real value for money (18 plus miles). Really liked the off road option from Luppit.